As with anyone who in times past picked up pen and paper to record their thoughts, Laura chose writing as a way to keep her voice alive long after she had departed. The culmination of this writing came in 1981 with the publication of Lichgate on High Road where she related her memories of the special place she created in the shadow of the great oak. Within its pages we see the oak for the first time amongst grasses and wildflowers of an overgrown field and feel the weight of stones necessary to anchor the dreams she had. The cottage itself emerges from rough-hewn ancient wood surrounded by birds and holly while lights flicker in its leaded windows and outside the ferns turn the branched arms of the oak green with each rain. 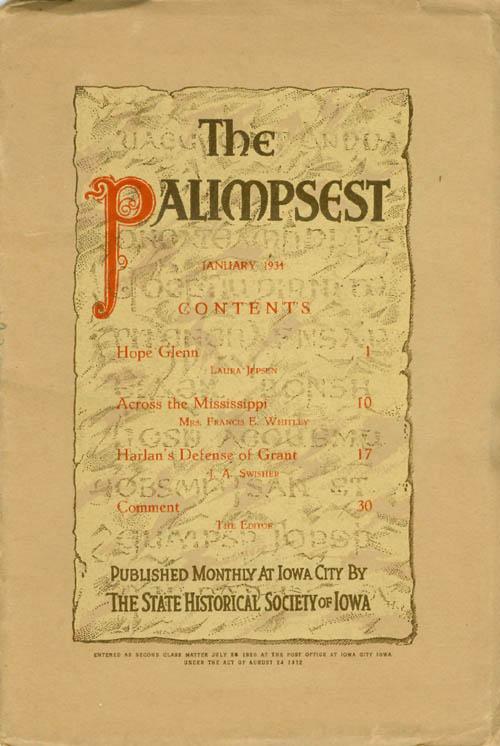 Self-publishing the book, Laura flung it into the corners of the globe knowing that many would be lost but that a few would fall on fertile ground for future generations to find and read. Though a scant 55 pages in its initial form, the care she expressed in even individual words is evident. One such word leaps off the first page of the manuscript, palimpsest. Foreign to the modern tongue, most readers flee to a dictionary to learn that it means a page of manuscript on which the writing has been erased so that it can utilized again. Laura’s choice of this word was neither accidental nor pretentious but instead represented a bookend to her writing, a bookend with its beginning in the year 1933. Laura was then a graduate student at the University of Iowa and excited about the prospects of her first article being published. 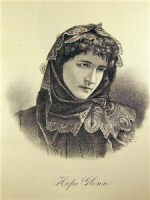 She had written an article detailing the life of Hope Glenn, another young woman from a small Iowa town who in the previous century, left her rural roots to sing opera on the stages of Europe. Hope’s story echoed the desires of Laura who growing up on a dairy farm in the same small town, dreamed of literature and destinations far over the horizon. 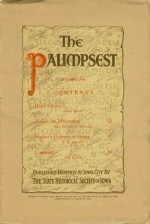 The magazine that was to print the article in January, 1934, was published by the State Historical Society of Iowa and was called The Palimpsest.